We give our clients Peace of Mind. that your home is well taken care of. We give our clients time to enjoy life, not just live it. Know someone who doesn't have enough hours in the day? Our services make the perfect gift. We secure the home, take care of your pets, pick up mail, take out the trash and more. You decide how many visits a day and when. 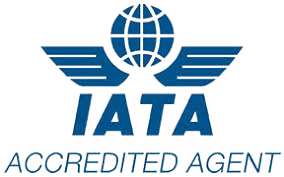 Full service travel agency – We'll find airline tickets, hotel/resort reservations, tours, rental cars, and more. 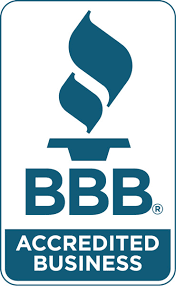 We offer cleaning for homes and businesses, and can also organize closets, storage sheds, attics, basements, garages, address books, financial records, photos, etc. 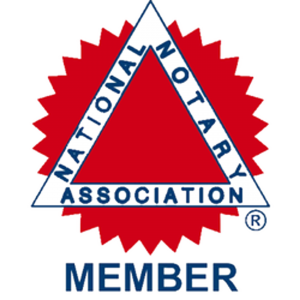 Notary service where you are, trained in legal documents, mortgage and loan documents. TIME is a precious commodity, and one that most of us do not have enough of. Today’s hyper-paced society leaves very little time to do the things we need to get done between work, personal lives and family responsibilities, much less the time to do the things we enjoy. Time cannot be duplicated, borrowed, stolen, traded, extended or saved. 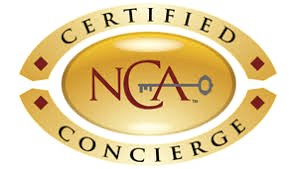 Dreamweaver Concierge gives their clients peace of mind that there home, family and guests are well taken care of. Family owned and operated since 2006. Licensed, bonded and insured. Allow our family to take care of your home and mail while you’re away, make your travel arrangements when you’re ready to travel, clean before you arrive and take care of every wish and whim while you’re here. Our services are built around each client not a list or package that only suits part of your needs. Tell us what you need, and we make it happen, not only here in Arizona but worldwide. Our white glove services don’t come with a high cost, Dreamweaver understands the expense of a second home and we do our part to help keep cost down by offering our services and our vendors at a special rate just for our clients. Be it a one-time service or building a relationship over years, Dreamweaver treats you like family, the ones we like that is. Dreamweaver can give you back the TIME you need for yourself and what’s important to you – Family Friends and the Pursuit of an enjoyable life well lived. Give Lisa and Jerry a call today to discuss your needs. "It's not the years in your life, it's the life in your years"
This company is so wonderful! They are the best kept secret in the valley. We have used Lisa to book travel to Mexico and then she watches our home and pets while we are away. This is someone that everyone needs to know. Keep up the good work! Dream Weaver provides help for everything from weddings to corporate events. Do yourself a favor and use them to plan the event and enjoy the day knowing it is taken care of! Lisa and Jessica have done an amazing job for us, more than once. We have entrusted them multiple times with our home and pet sitting needs. I would highly recommend them to everyone. Their prices are great and their professionalism is above all expectations. Your service is my life saver. You are always willing and more than able to meet every need that we have. You have saved me many times with your quick response to our daily tasks we throw at you, and you never bat an eye. I am amazed at your willingness to go above and beyond and keep coming back for more. I would highly recommend you and Dreamweaver Concierge to anyone that needs help with any task they just don’t have time for. Your house sitting and pet sitting while we were on vacation was such a god-send. We enjoyed every minute of the vacation you planned without having to worry about the home front. When we returned you had our whole house in order and the fridge stocked as requested. I need to go on vacation more often! You will continue to have our business as long as you put up with us. Thank you so much for your wonderful services and ingenious ideas on how to enjoy life. You are my answer to stress relief. Oh my husband and kids think you are amazing for making me happy! Keep up the excellent work! Phones are answered 24/7 including holidays for emergencies.